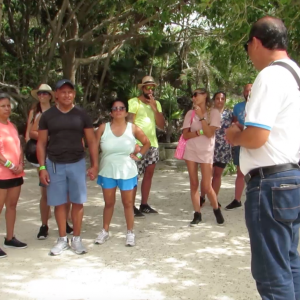 If you want to take a tour which is jam packed with excitement and adventure, then this Tulum tour from Cancun is just what you’re looking for! You’ll have the chance to explore an ancient Mayan ruin, before being taken out into the clear blue Caribbean to snorkel among an incredible coral reef. Finally, you’ll get to dive into one of the region’s most celebrated cenotes, and swim in a huge underground cave. 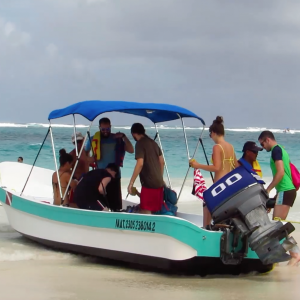 This Tulum tour really does have it all! The Tulum ruins are very special indeed. 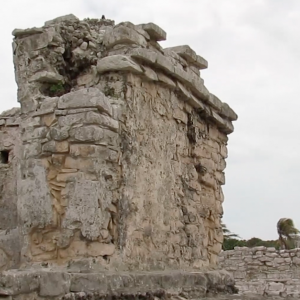 This is the only known Mayan city that was located by the sea, and the people here made their fortunes by trading the local turquoise and jade with travelers from far and wide. Today, many of the buildings which once stood here have been reduced to mere mounds which dot the landscape, but there’s still plenty to see. 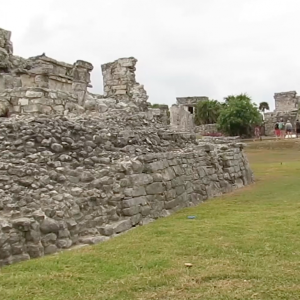 The Tulum ruins are also one of the few Mayan cities to have a city wall, which is a huge seven meters thick! 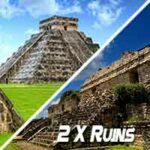 As you wind your way in and out of the wall along your journey, your expert Tulum tours guide will point out all the sights, including the spectacular Temple of the Frescoes. One of the best-kept Mayan buildings, the temple is home to a huge mural that shows the Mayans’ view of life, death, and the gods, a unique chance to get a first-hand glimpse at the rich culture of this lost civilization. Since the Tulum ruins are right by the beach, we’re in the perfect spot for the next part of our tour- a trip out to sea for some snorkeling! The waters around Tulum are home to some incredible wildlife, including squid and octopi, tropical fish, and, if you’re lucky, dolphins too. 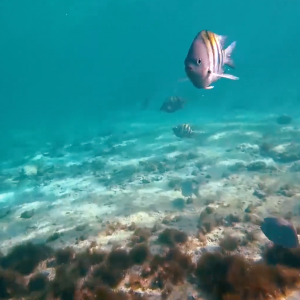 Below the waves, you’ll find a vast colorful landscape of coral, as far as the eye can see. 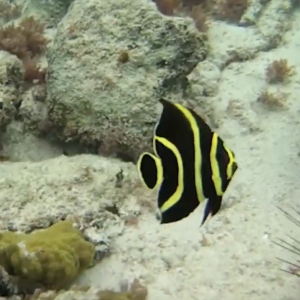 The coral reefs in the region are among the largest in the world, so this is a unique opportunity to a lot of sea life you normally wouldn’t have a chance to. 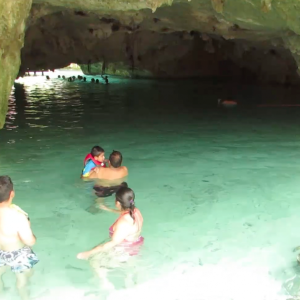 Finally, our day of adventure takes us to Gran Cenote, one of the most well-known and beautiful cenotes in Yucatan. While it looks like a mere hole in the ground from afar, step a little closer, and you’ll find your breath taken away. The cenote opens up into a huge subterranean cave, filled with crystal clear water that’s just perfect for taking a dip in. Gran Cenote is one of the most spectacular cenotes in the Riviera, and is a very popular cenote to see while you’re here. Stalagmites and stalactites just out of the water and ceiling, and when the sun is directly above, the whole cave is filled with glittering light reflected off the water. Gran Cenote is also home to an amazing variety of wildlife, too. 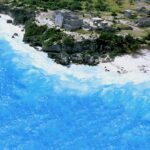 In the water, you’ll see freshwater fish darting about, and tiny turtles paddling through the cave. Up above, many birds make their nests on the cave walls, and you might just see a bat speeding back into the depths of the caverns! At the end of the day, you’ll be taken directly back to Cancun, we’re sure you’ll sleep well after such a busy day! 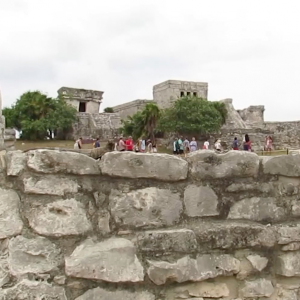 This Tulum ruins tour from Cancun is the best way to see everything that the Mayan Riviera has to offer, and will leave you with some unforgettable memories. If you want to truly make the most of your time here, then make sure you book your place on our Tulum tour from Cancun today! Hotel pick up approximately 6:30 – 7:00 a.m., Tour returns between 6:30 – 7:30 p.m.